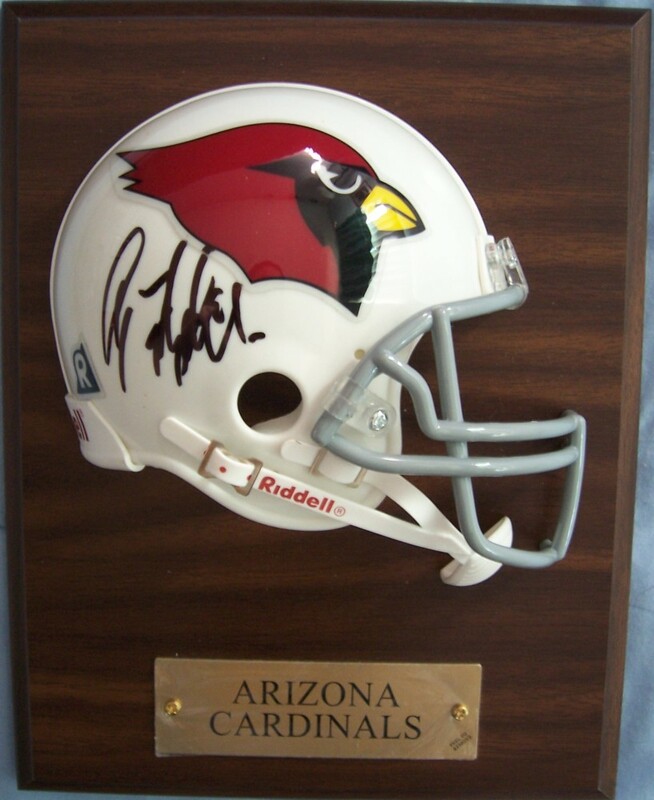 Arizona Cardinals Riddell mini helmet plaque (half of a standard size mini helmet mounted on a woodgrain plaque) autographed in black marker by former superstar receiver Anquan Boldin. Ready to hang. Obtained in person. With certificate of authenticity from AutographsForSale.com. ONLY ONE AVAILABLE FOR SALE.